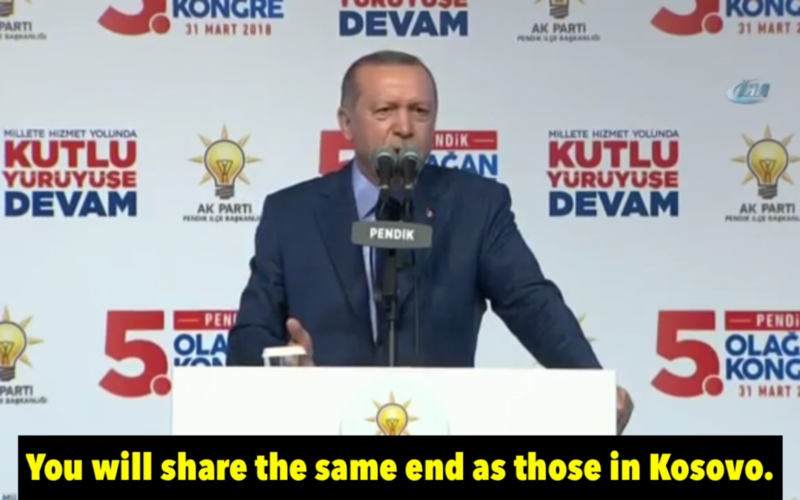 Turkish President Recep Tayyip Erdoğan has said Fethullah Gülen, who lives in the US, will face the same end as six Turks who were abducted in Kosovo and removed to Turkey on March 29, the state-run Anadolu news agency reported. Turkey’s National Intelligence Organization (MIT) on Thursday abducted six Turkish nationals, one doctor and five educators, working for a group of schools affiliated with the Gülen movement and removed them to Turkey the same day. The abduction of the Turkish nationals sparked a political crisis in Kosovo. Prime Minister Haradinaj on Friday dismissed the interior minister and the secret service chief. Kenneth Roth, executive director of Human Rights Watch, on Saturday tweeted that the six Turkish nationals would face the risk of torture and abuse in Turkey. President Erdoğan and his ruling Justice and Development Party (AK Party) government pursued a crackdown on the Gülen movement following corruption operations in December 2013 in which the inner circle of the government and then-Prime Minister Erdoğan were implicated. This article originally appeared in Turkish Minute on Apr 1.